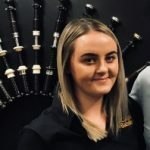 We are extremely proud of the fantastic team we have at McCallum Bagpipes. Each one of them is committed to providing the best possible quality production and customer service in the products you choose to invest in. 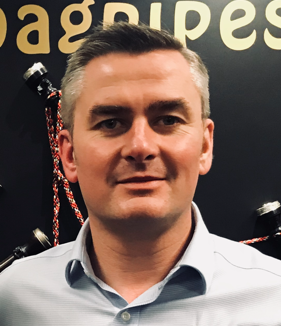 Stuart is our manufacturing director/boss. He makes sure that the factory runs like clockwork. Kenny is our sales director/boss. Kenny keeps us all busy by bringing in new orders and he also deals with our after sale service. Willie McCallum helps work us work on product development. Willie’s his son Scott also works in our assembly team. Sharon is very important to McCallum Bagpipes as she is in charge of all of our wages! Sharon makes sure we all get paid on time. 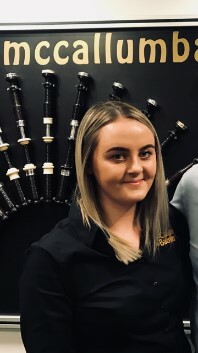 Emma is the daughter of Stuart and Sharon McCallum, Emma recently joined the business this year to help Stuart out. 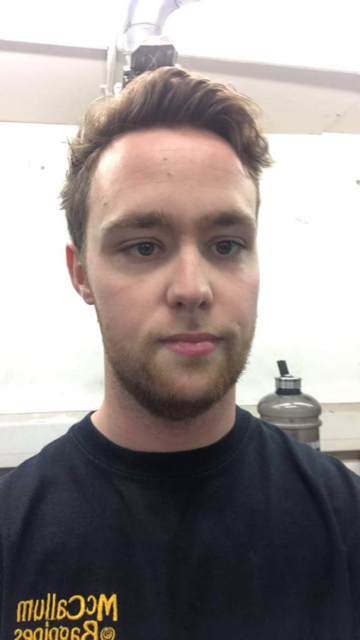 Ross is Stuart and Sharon’s son who currently works out in the factory part time while he finishes his studying. Jacqui is part of our accounts team. She keeps our accounts in order at all times and is always busy invoicing. 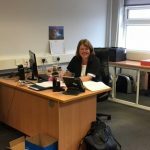 Margaret also works in our accounts team, she has worked in this team for many years and knows exactly how everything works. 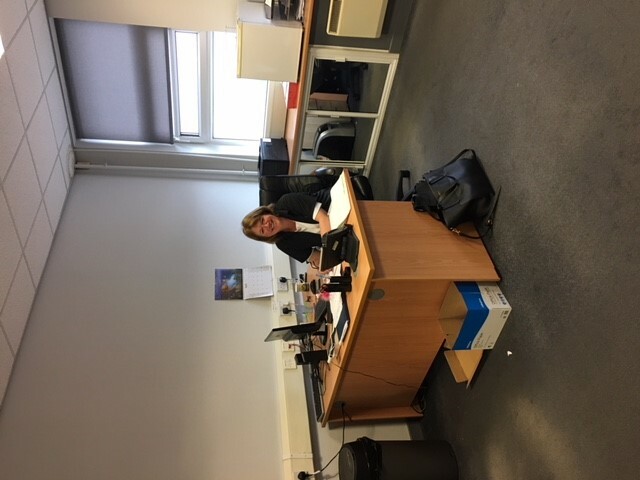 Marion is the newest member of the accounts team who also works hard to keep our accounts in order. Hilary is our highland dress supervisor. 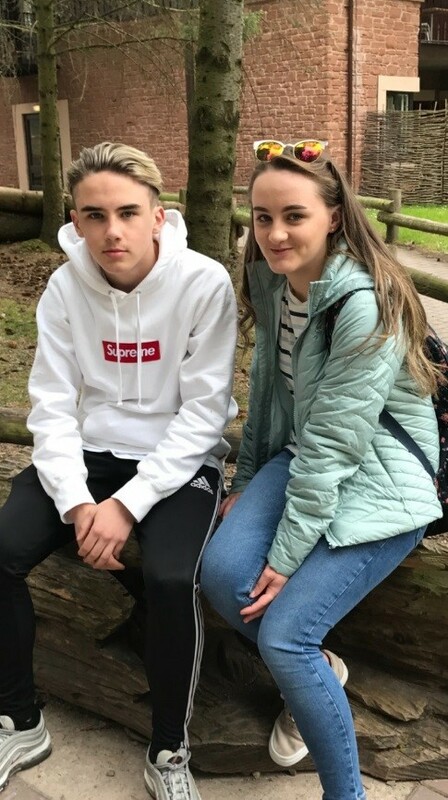 Hilary is also married to our very own Stevie Kilbride who works in our dispatch team. 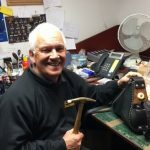 Andy mostly works with our assembly team however he also helps Hilary out in our highland dress shop when we are busy. Although we are not too sure if he is actually any help to Hilary! David helps out in our Highland Dress shop on Saturdays and if required also helps out in the factory when he can. 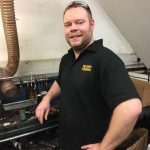 Ian works as part of our Small Pipe team, he is a small pipe expert and is excellent at making high quality pipes. Robert also works as part of our Small Pipe team. Robert is also great at his job in producing pipes of the highest quality along side Ian. 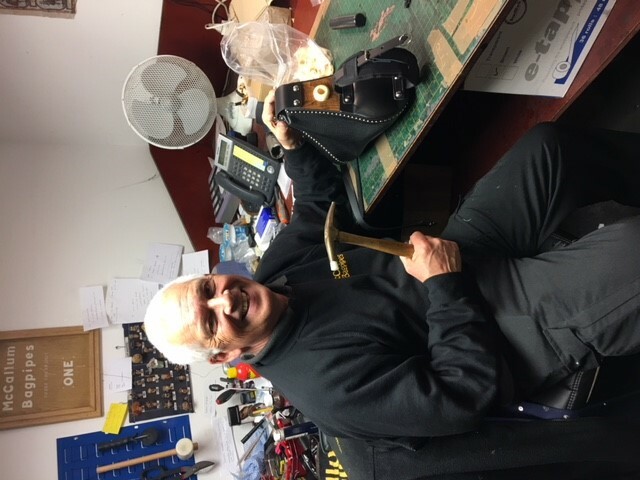 John is our health and safety advisor, John also manufactures the Ulliean Bagpipes. Robert is our workshop foreman. 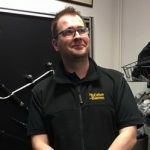 He is in charge of making sure all our bagpipes are manufactured to an excellent standard. 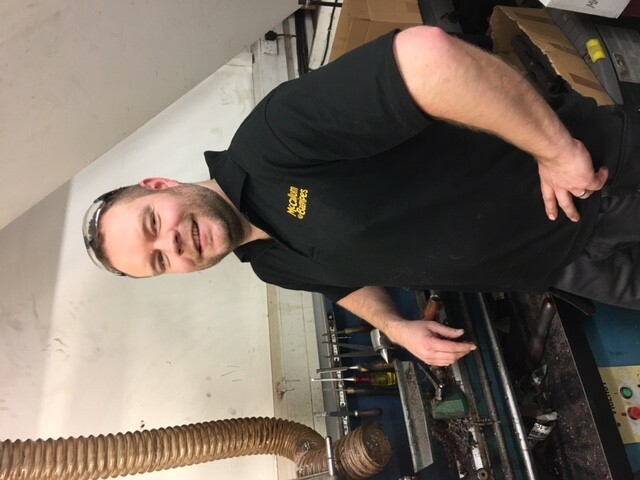 Andy is our manufacturing supervisor, his job is to help Robert manufacture high quality bagpipes quickly and efficiently. Steven works out in the factory manufacturing the bagpipes, he is the brother of our manufacturing supervisor Andy McFarland. 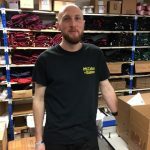 Shaun has worked with us for many years, he also works our in the factory manufacturing our bagpipes and products. Tommy works out in the factory manufacturing the bagpipes. Tommy is also apparently very camera shy – so he says!! Billy also works in the factory manufacturing bagpipes. 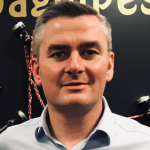 He has worked with us for many years so know exactly how everything should be done and his son Stephen Dalziel also works with us. Stephen works out in the factory manufacturing the bagpipes. Stephen is also Billy’s son. Allan works out in the factory manufacturing the bagpipes. 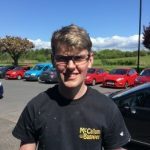 Allan has also worked with us for many years starting with us when he was only a teenager. 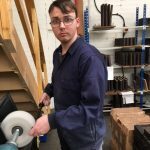 Jim works out in the factory manufacturing the bagpipes, he is also one of our health and safety supervisors. Les works out in the factory manufacturing the bagpipes. Fun fact Les is also a fully qualified fitness instructor. Euan works out in the factory manufacturing the bagpipes. 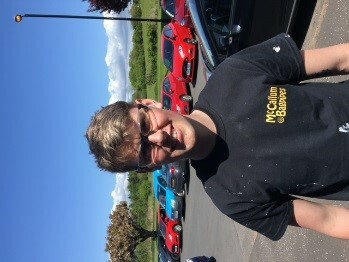 Euan is another one of our very camera shy employees. Eric works out in the factory manufacturing the bagpipes. Lewis works out in the factory manufacturing the bagpipes. 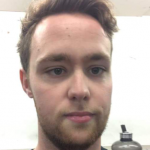 Lewis is Stuarts nephew and has worked with us full time since he finished his studies at university. Jack works out in the factory manufacturing the bagpipes. 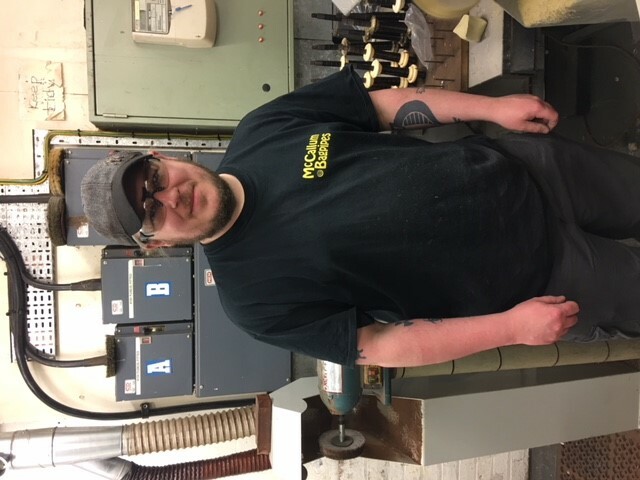 Jack is the newest member to join our manufacturing team and is also one of the very camera shy employees that we have! 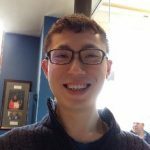 Richard is our assembly/dispatch team supervisor. He is in charge of making sure all the bagpipes get out the door quickly and efficiently. 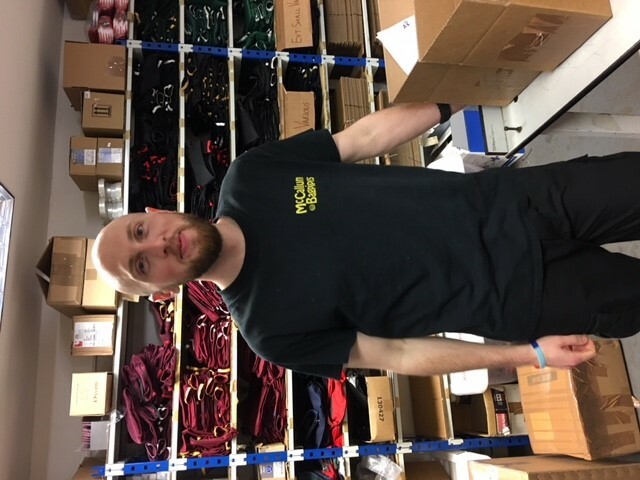 Stevie works in our dispatch team and works hard to make sure all our parcels get out the door on time, he is also married to Hilary our Highland Dress Supervisor. Stevie claims to be the happiest employee in the factory! 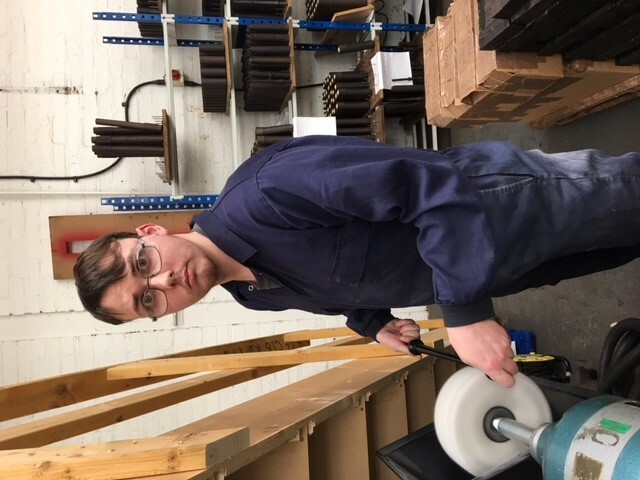 Gavin works in our assembly team making sure all our pipes are assembled correctly before being passed to be dispatched. Scott also works in our assembly team. Scott is also the son of Willie McCallum. 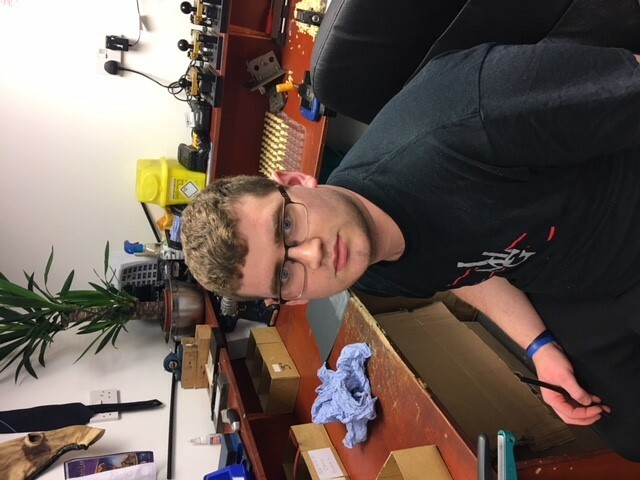 Ian is the newest member of our assembly team who works part time to help get the bagpipes assembled and out to customer. Ian is also a retired Police Officer and a well-known piper! 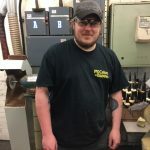 Scott works with us part time when he is free. Scott helps out in the assembly team whenever he is able to. Donald also works with us part time helping in assembly. Doris is our maid of all works!! Doris make sure everything is always sparkling and clean. 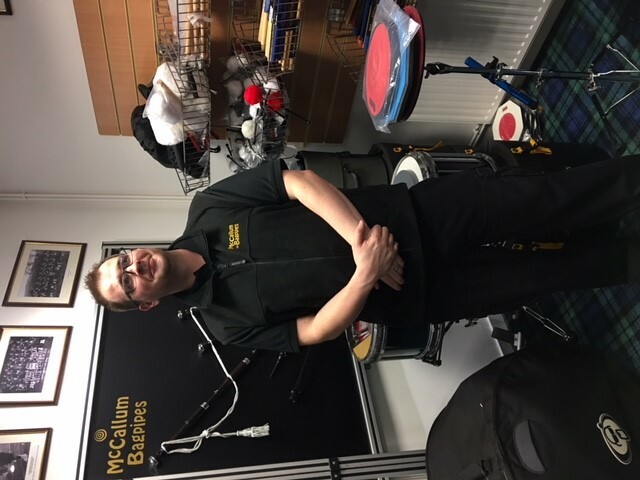 Rory runs and manages MG reeds which is located within McCallum Bagpipes factory. 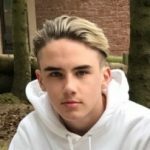 Chris is one of our newest members. He works along with Rory in MG Reeds. 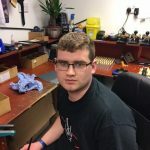 Andrew has also just recently joined Rory’s team, helping him make reeds.